Thank goodness for hungry children, because if not for them I'd be blowing $250 on a Moto 360 right now for no other reason than to load it with the watch face from GoldenEye 007. 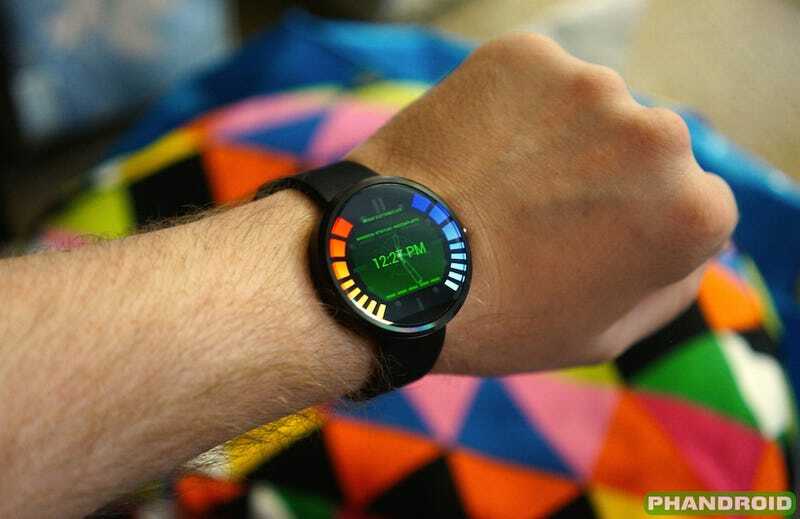 Android enthusiast site Phandroid brings this snappy GoldenEye watch face to light. Dubbed the "Secret Agent Watchface" by its creator on Google Play, it uses the iconic Health and Armor bars from the classic Nintendo 64 game to meter battery charge. From what I've read about the Moto 360 so far, that means those bars will deplete really fast. If you aren't interested in buying a dubious piece of hardware that's very likely going to look like a crappy toy in a few hours (it's Apple conference day! ), watch the video Phandroid shared of ten minutes of paused GoldenEye is a suitable substitute.